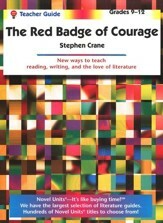 The Novel Unit curriculum is comprised of this Student Packet, and a sold-separately Red Badge of Courage Teacher's Guide, Grades 9-12; the book "The Red Badge of Courage" by Stephen Crane must be purchased separately. 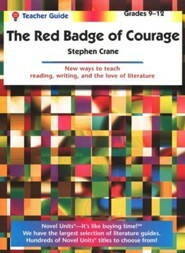 A few pre-reading activities are included to gauge a student's familiarity with the context of the novel. 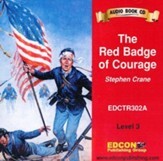 Once the student has began reading the novel, graphic organizers, vocabulary activities, review and comprehension questions, quizzes, a final test, puzzles, project and essay ideas are included. Exercises help students focus on literary and character analysis, as well as critical thinking and comprehension skills. 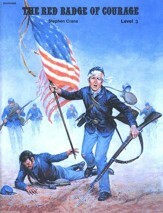 Student questions reference the edition quoted in the front cover [ Signet Classic/New American Library softcover edition, copyright 1952 by Alfred A. Knopf. Notes copyright 1960 by R.W. Stallman. 44 reproducible for classroom use pages, softcover. A line-listed answer key includes answers for the study questions, activities, and comprehension quiz. Grades 9-12. 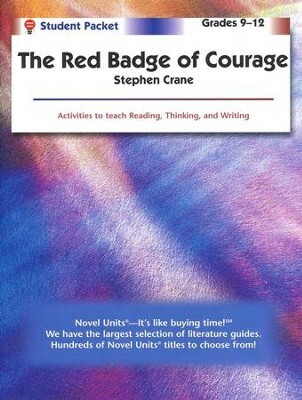 I'm the author/artist and I want to review The Red Badge of Courage, Novel Units Student Book, Grades 9-12.